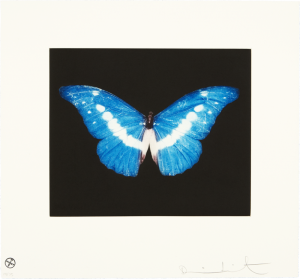 Hirst’s butterfly etchings are rendered here in fine detail, appearing from their black backgrounds like encased species in the enthusiast’s collection. Having been depicted in art, embedded in resin and characterized in literature for many centuries, the butterfly has wide significance as a symbol of love, regeneration, fortune, freedom, spirituality and death, several of which are referenced in the etchings’ titles. 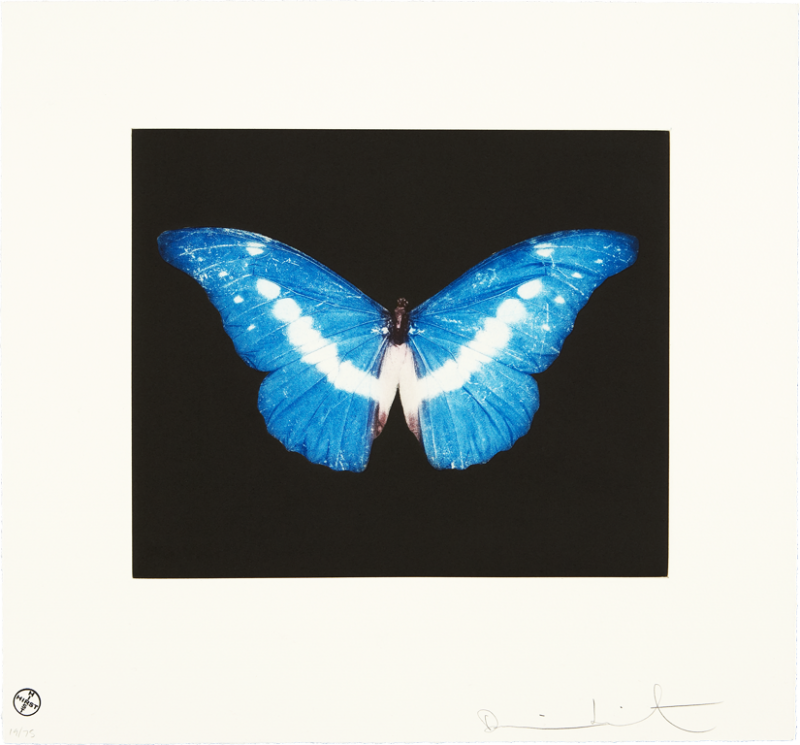 Part of the heritage and visual identity of Hirst’s work since his early days, they are the newest additions to one of his most popular motifs.